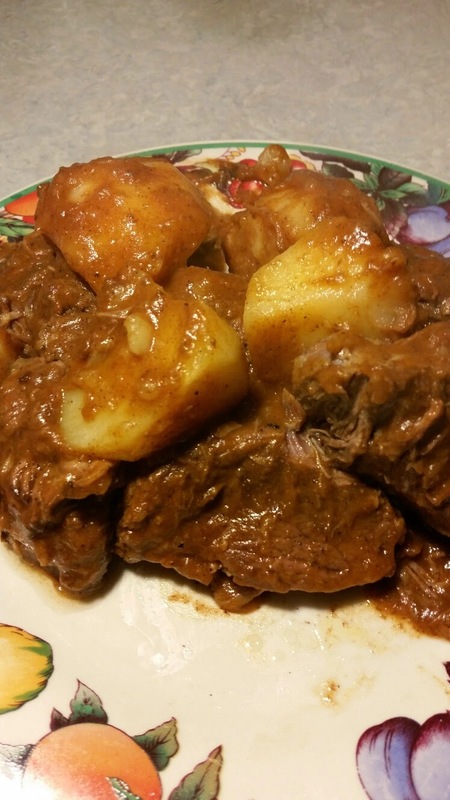 Easy and quick....Short Ribs And Potatoes Stew.Man pleasing...Just meat and potatoes. Place beef short ribs in large bowl.sprinkle with flour and generous amounts of salt and pepper; toss to coat.remaining flour made a light brown rue with oil. Heat amounts of the oil in heavy large pot over medium-high heat.Working in batches, add beef and sauté until brown. Place beef to a large pot after each batch. Sauté the prepared onions and garlic in an amount of oil.add to pot with the beef. Add beef stock and prepared tomatoe paste, bring to boil. Reduce heat to medium-low. Cover and simmer until beef is tender, about 60 min. Add prepared and potatoes, and light brown rue , simmer uncovered, until beef and potatoes are tender and sauce thickens, about 30 min. Adjust seasoning to taste.